The Association of American Railroads today called on the federal government to “include our industry” in the national conversation over the future of autonomous vehicles, saying the Department of Transportation’s efforts to develop policies governing the safety of AVs should be extended to the rails. In comments filed in response to the DOTs request for the input on the agency’s latest examination of the outlook for AVs, the AAR said that “unlocking the potential of automated technology by reducing or eliminating human error is just as important for railroads” as for other transport modes. DOT “should apply the same energy and creativity to unleashing automation in the rail sector as it appears poised to apply to other surface transportation modes,” the rail industry group wrote. Up to now, most regulatory attention relating to AVs has focused on the automotive and, to a lesser degree, the motor carrier sectors. That may be due simply to the law of large numbers as there are far more motor vehicles on the road than there are railroads. AV safety issues have also been motor vehicle-centric because, unlike railroads whose operations are restricted to a fixed number of tracks and whose access to rail rights-of-way by others are strictly controlled, cars and trucks can go practically anywhere and may present a greater safety risk. In its comments, AAR wrote that in a “world where the automation of millions of interacting trucks and cars is being vigorously pursued, the similar-and in many cases simpler—automation of train operations is not difficult to imagine.” Because automation has already been utilized in more complex scenarios in other industries, “automating locomotives is an entirely realistic endeavor,” it said. Automated freight train operations already exist in other parts of the world, AAR said, noting that in Australia automated trains today run over significant distances, according to the group. A move towards autonomous trains would likely not sit well with railroad labor, which, despite not being the presence it was 20 to 30 years ago, remains a force to be reckoned with. 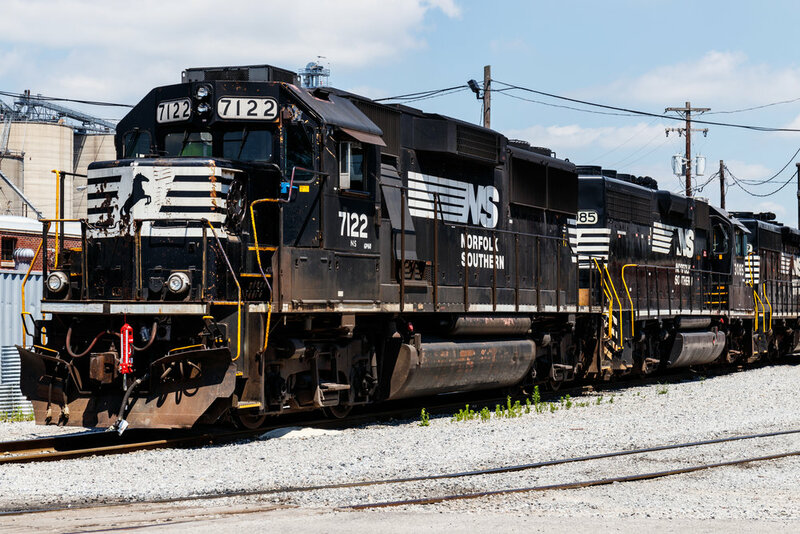 Through the years, the rails have been able to scale back crew sizes from what existed during the days of regulation and in the first 10 to 15 years after the landmark Staggers Rail Act, the 1980 law that deregulated much of the industry. Yet unlike in trucking, labor unions are a key factor in rail operations. AAR urged the DOT to not wait to advance AV policies until every possible risk is analyzed and mitigated. There will be pressure for regulators to “identify and resolve every possible risk before allowing testing and deployment” because the public is not well-versed in the industry’s automation practices, AAR said. The agency should heed its own comments made in its comment request that delaying any testing until all risks are identified or eliminated would have the unintended consequence of “delaying the realization of global reductions in risk,” the group said.